Our October issue is now on sale! Apologies, this is a first proof of the cover - some literals were spotted since this one. Perhaps we should have a competition to spot which they were...! We've got the best ever subscription offer on at the moment. Really there has NEVER been a better time to move over to subscribing. It's 50% cheaper than buying it in the shops and it'll be delivered to your door before the shop copies hit the shelves. Click here! So what's in the mag? The front cover in itself is a work of art to start with. Richard Horsfield is a photographer/artist that we've only recently discovered. 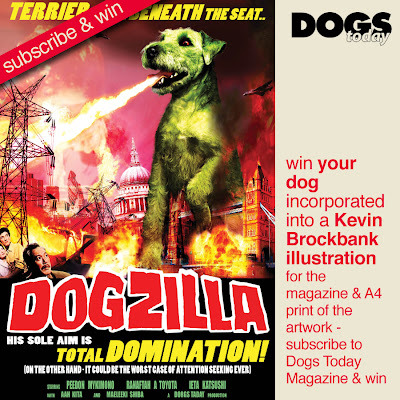 (His Cane Corso Neo was featured in Sept's caption competition). 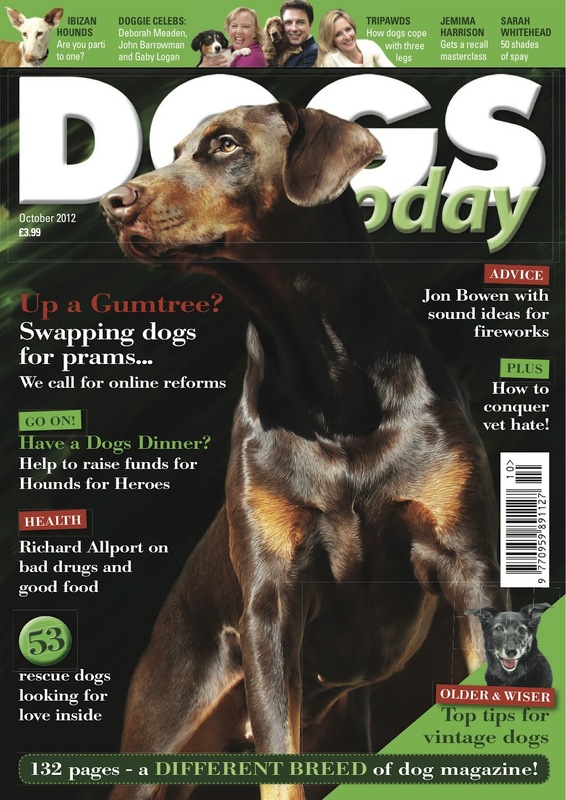 The cover is a digital painting of Richard's much missed Dobermann Tzen. Two years ago Tzen had a terrible accident - he broke his back on wet grass and sadly had to be put to sleep. We are very honoured to have this incredible tribute to Tzen on our cover. My editorial letter is mostlytalking about the climax of our campaign against Lloyds and Halifax - if you remember they made a speedy retreat from pet insurance. The Ombudsman's latest response to this drama has been far from helpful. Our news section is action packed as always and the main story of the month has to be our article about websites which carry free ads for pets and allow all sorts of horror stories to unfold. It's a very strong piece and Rachael Miller has moved the debate along and opened up discussions with the press offices of all the usual suspects. A must read. We've got a couple of pages on rescuing Podencos next to a couple of pages of Podencos who very much would like to be rescued... what a coincidence! There are 53 dogs looking for a home this month including a Bulldog called Bird and a Husky named after a Gold medal winner. Some cracking Happy Endings stories to read - they always make us very happy! Rachael Millar has been busy this month and the Tripawds feature which will cheer your heart. Watching the Paralympics has made everyone realise that you need to concentrate on what you can do, rather than what you can't and these amputee dogs are living life to the full on three legs and we've even got a Tripawd looking for a new home should you feel totally convinced... Grace does look a real sweety - just saying! Our Good Boy story this month is an uplifting story of another three legged dog.... we don't just throw this magazine together you know! Jemima Harrison has written us a brilliant article on recall. Anyone who has any trouble getting their dogs back should give it a read. Jemima had a masterclass from Pippa Mattinson and passes on some of the best tips. There's a really special offer on Pippa's new book Total Recall. 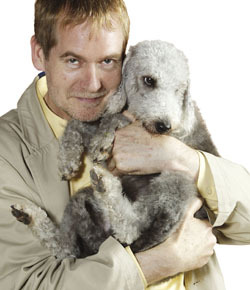 Alternative vet Richard Allport's column gives news of there being finally some scientific evidence that natural food is good for dogs and also points out that there's a drug being used that perhaps isn't such good news... he does like to push the boundaries does our Richard! Lovely behaviour specialist vet Jon Bowen gives some sound ideas for getting prepared to cope with fireworks. Well worth reading. Peter Neville deals with Whippets that don't come back when called - this month you really are spoiled for advice if you are having trouble getting your dog to come when called. Vet and behaviour expert Hannah Lyon tackles how to deal with a dog that hates vets... it really is awful when you've got a dog that's poorly that gets even more stressed about going to the vet. Very good article. Sarah Whitehead gets the 'best headline ever' award... Fifty Shades of Spay. She unearths more evidence that maybe puts neutering in the spotlight. The lovely folk at Honey's - (who you might remember were until recently called Darling's) are giving an amazing half price offer on their hampers. A perfect intro to raw feeding. So so have a read! Gina Stokes is brushing up your doggie dancing with some more umbrella moves... would have worked really well in the Paralympics opening ceremony come to think of it! Dog trainer to the stars Karen Wild grills Dragon Deborah Meaden about her three Hungarian Vizslas. We discover why these are the perfect dogs for Deborah but why she doesn't think people should fall for their looks alone as they need very special owners. Guide Dogs encourage us to Go Walkies with a great new App! The one and only Victoria Stilwell tells us how distraction can be the perfect training solution with an anecdote about cheering up her daughter by taking her to the dogs home! We've got a Golden Years Special with lots of tips for getting older and wiser and giving Vintage dogs a sparkling old age. In our 'I Want one' spread you can win a new bed, a portrait, a doggy bag to dry your dog, some lovely HiLife Nature's Essentials food and even an edible pumpkin treat! Allen Parton has been out and about meeting some fantastic supporters and volunteers for Hounds for Heroes. Terry Doe gets reflective after losing a much loved relative and wonders if love is the thing we need the most to become good dog owners? 10 people can win a fantastic and substantial Natures Menu Hamper - you really are spoilt this month aren't you!! Has there ever been a better time to consider a more natural diet? Our celeb editor Natalya Anderson gets to spend time with the lovely John Barrowman... it's a hard job, but someone has to do it! Loads of Autumnal gifts for you to consider... really interesting stuff. Postbag, always a good read - we love getting feedback! Pet loss and Obits always make up weepy - but especially this month because beloved Spud is featured. We had Spud on our front cover MANY years ago. You may remember Spud. An Australian Cattle Dog that could skip. RIP Spud. Think Tank is full as usual. Older dogs, putting dogs into kennels for the first time, finding the right weight, what to feed a dog with lymphoma, house training an older dog.. lots more, too. Caption, cross question and Crossword and Gabby Logan in Pat on the Back. But you can have the for the price of 66! October issue - on the shelves September 13th. If I still lived in the UK, I think I would be all over this mag. Beautiful cover, amazing illustrations, interesting topics and some great columnists. It's very tempting to say the least!